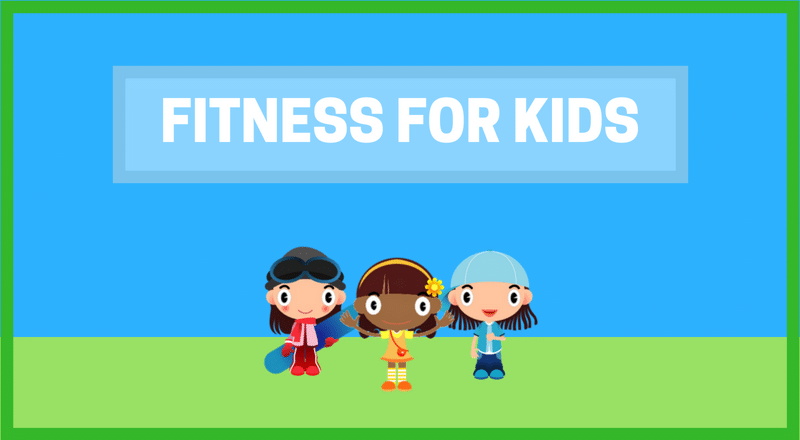 Fitness for kids: how to get your kids off the couch and be active! Let’s face it, the world has changed a lot since we were kids thanks much in part to technology. The advent of the internet, smartphones, video games, and streaming devices has brought with it many benefits. However, for many parents, this technological shift poses unique challenges when it comes to raising a healthy and happy family. Kids today have never experienced a world without the internet and smartphones, so it makes sense that a large portion of their time is spent sitting in front of a screen, whether it is playing video games, watching TV, or browsing the internet. In fact, according to Statista, 2-11-year-olds now average 19.5 hours per week watching television. That’s almost three hours a day! Unfortunately, this change from an active, outdoor lifestyle, to a sedentary lifestyle spent indoors in front of a screen has had a wide range of negative effects on children’s health. In a recent poll of 2,000 adults conducted by the Royal Children’s Hospital, 58% of parents said that excessive screen time was their greatest worry for their children. Meanwhile, about 54% of parents identified their biggest concern as a lack of physical activity, and 55% reported obesity. They say the first step to solving a problem is recognizing you have one, which we most certainly do! Incorporating kids fitness into your family’s daily routine doesn’t have to be tough. In fact, you may actually enjoy it! You probably know that getting enough physical activity and outdoor playtime is an important aspect of early childhood development. However, you most likely do not know what the specific benefits of fitness for kids actually are. In this section, we will discuss the physical, mental, and emotional benefits of exercise that highlights the importance of physical fitness for children.. There are many health benefits of physical activity in children. Some of the beneficial outcomes of fitness for kids include maintaining a healthy cardiovascular system, bone strengthening, muscle development, improving coordination and reflexes, and a decreased likelihood of many diseases including diabetes, high blood pressure, and certain cancers. Helping kids maintain a healthy weight is one of the most important benefits of physical activity for children. Current studies show that one out of three children is overweight, and keeping active is a wonderful way to combat obesity, help your children maintain a healthy weight, and improve their overall physical fitness—all while having a blast! In addition to supporting overall physical health, playing in an outdoor environment has also been found to be an important part of developing healthy vision in children. In fact, studies show that children spending time outdoors have better distance vision as well as a reduced chance of developing nearsightedness when compared with their peers who spend most of their time indoors playing video games and watching TV. Another physical benefit of outdoor play for children is increased vitamin D levels—an essential vitamin for the development of healthy bones and the prevention of a wide range of diseases including diabetes, osteoporosis, and heart disease. Although children can get vitamin D from food and supplements, sunlight is a natural boost to their levels of this important nutrient. In addition to wide-ranging physical benefits, spending time engaging in outdoor exercise also has a multitude of educational and mental health benefits for children, some of which include an improved attention span, higher academic performance, improved social skills, and lower stress levels. Increased levels of physical fitness lead to increased oxygen flow to the brain, which can have many benefits for children’s academic performance. Some of these include a better ability to focus when it comes to school and improved test performance. Along the same lines, research shows that spending time playing in nature can be an effective way to improve children’s attention spans, and a recent study also demonstrated that time spent outdoors can even reduce symptoms of ADHD. Similarly, according to the National Wildlife Federation, schools emphasizing nature-based education report improved critical thinking skills and higher standardized test scores across a variety of subjects, including reading, writing, math, and listening. Getting active with friends and neighbors is also a wonderful way for children to develop valuable social skills as they interact with their peers. These social interactions can teach them important lessons about sharing, negotiating, and conflict resolution that will last them a lifetime. Though the idea of strong emotional health for children may seem unusual, the fact is that kids are just as likely to suffer from stress, depression, self-esteem problems, and other emotional issues which can be detrimental to their overall health and wellness. 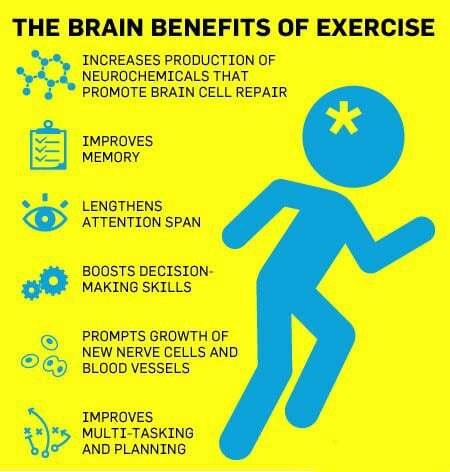 Fortunately, exercise is commonly associated with feelings of well-being due to its effects on the levels of certain chemicals in your brain. Many experts attribute these positive emotional benefits to serotonin, which has been shown to increase feelings of well-being, decrease symptoms of depression, and improve appetite. 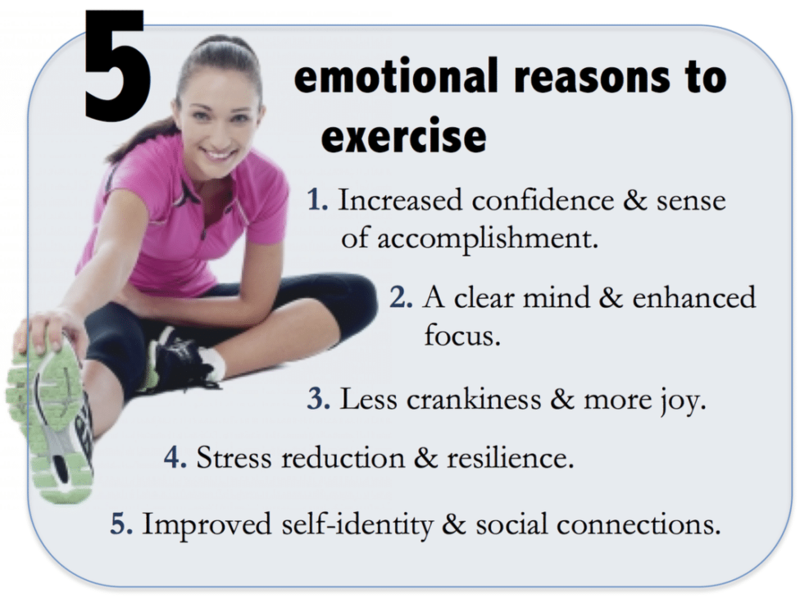 Just a few tangible benefits of physical activity on children’s emotions include higher energy levels, calmness in scary situations, an improved self-esteem, and decreased stress levels. After learning more about the importance of fitness for physical, mental, and emotional health, you are probably ready to dive straight into the physical fitness game. However, before getting started, here are a few important considerations to keep in mind. It is important to consult with your child’s pediatrician to find out exactly what kind of fitness is right for them. This is especially important if adding fitness to their routine will drastically change their lifestyle. For some people, adopting an active lifestyle after being inactive for so long can be a shock to the body. For this reason, it is crucial that your child’s health is checked before beginning any changes to their lifestyle. A good place to start your kid’s health and fitness journey is checking and recording the body mass index (BMI), of each family member. Your BMI uses your height and weight to figure out if you are at a health weight. Though the formula may seem a bit complicated, it’s actually not that tough once you get the hang of it. Be sure to record everyone’s BMI and talk about what this number means. Discussions with your family are important and they should include the many reasons why being overweight is bad for us. With smaller children, you cannot get too technical but for kids over twelve or so, you can talk about what diabetes is, how obesity puts a strain on our heart and other organs, and other such topics. Children are usually open and easy to teach. Many are actually willing sponges that enjoy learning new things. Don’t simply think your kids won’t be able to understand some of these concepts. There are many books for children that can help you explain what high blood pressure is and how it affects our health. While delving into the world of fitness for kids, it is also important to learn more about how much exercise kids actually need. According to the American Heart Association and Center for Disease Control, children should get at least 60 minutes of moderate to vigorous exercise on a daily basis. You may be surprised at how easy it is to incorporate one hour of fitness into your kids daily routine, or it may come as a stretch. Either way, keep this number in mind as a good daily goal. When it comes to kids fitness, experts also suggest incorporating physical activity that focuses on endurance, strength, and flexibility. This may sound like a daunting task, but in reality, it is quite easy! All of these activities are a great jumping off point as you embark on a healthier lifestyle for you and your family. After you have consulted with a physician and communicated with your family about the importance of physical fitness for physical, mental, and emotional health, it’s time to get off the couch and get moving! However, we all know this can be easier said than done. Below are a few tips and tricks for keeping your family active and healthy. One of the best ways to get your child to adopt a more active, healthy lifestyle is to create a schedule. Within that schedule, healthy meals and an active lifestyle should be incorporated. Include outdoor activities like hikes, bike rides, and sports to give the feeling that your child is enjoying playtime rather than working out. Technology is all around us and it is important to use it to our advantage. There are plenty of dance, fitness, and other physical activities available on a variety of devices your children already use that can keep them both entertained and active. This includes things like their tablet, gaming system, and even their smart TV. While this should not replace outdoor activity, it can aid in switching up your routine and keeping your child engaged. There is nothing wrong with going back to the simple activities you once enjoyed as a child yourself, like playing catch. Combine traditional fitness activities with a focus on coordination to improve both small and large motor skills, allowing your child to get the biggest benefit. Things like kicking, catching, and even hopping can seem more like a game rather than exercise. As parents, one of our most important responsibilities is to help our children establish healthy habits to carry them through life. However, when it comes to teaching kids about a healthy lifestyle, we have found that children are much more likely to follow our example than our words. This is because kids tend to watch their parents every move, which makes instruction a lifestyle that takes place even when we don’t realize it. Leading by example and making fitness a part of your family’s day-to-day life is one of the most effective ways to ensure your children are getting enough exercise and establishing healthy habits that will last a lifetime. Even for the most active families, it can be difficult to come up with fresh and fun ideas to keep your family moving. Whether you are diving into kids fitness for the first time or are a seasoned pro that has hit a wall when it comes to creative ways to exercise, here is an all-inclusive compilation of fun fitness activities for kids. It’s fun to run and play! Getting outside exposes children to the great benefits of vitamin D from the sun. Vitamin D helps the body build strong bones as it helps the body process calcium. Sufficient exposure to the sun (without sunscreen) helps lower blood pressure and help with allergies and asthma. Research shows that 87% of adults have low vitamin D.
There are a lot of benefits to getting active outside. Some of the most enjoyable outdoor activities are the ones you’ve been doing your entire life. You know the drill. Find a ball and start throwing it around. You’ll be surprised how much exercise your kids (and you!) will get from this old-school game. Grab a ball and start kicking it around. This improves kids’ agility, balance, coordination, and strength. It is a great cardiovascular exercise as well. You don’t have to live near a national park to find a good hike. Take a walk through the forest or even a small grove of trees. If you live in a suburb, you could mix things up by pretending that you are detectives looking for clues while trying to find a bad guy. It doesn’t get easier than the classic coming-of-age activity of teaching your toddlers how to ride a tricycle or a bike with training wheels. Put on pads and take a bike hike around the neighborhood or onto a dirt trail. Set a course past some interesting sites. Encourage monkey bars or other equipment that is active. Playgrounds usually have fields available for you to play soccer or throw a Frisbee. Sometimes you just need to get wet and dirty. Go puddle jumping after the rain or even during the rain if it isn’t too dark or cold. We know that everyone is not lucky enough to live in sunny Southern California, where we can participate in outdoor sports and fitness year round. However, just because it is raining or snowing doesn’t mean you should throw in the towel on your family’s fitness goals. There are still plenty of indoor kids fitness activities that will get your heart pumping, lift your mood, and keep your family healthy and happy — no matter how frightful the weather outside may be! Check out this cool Uno workout from How Does She! 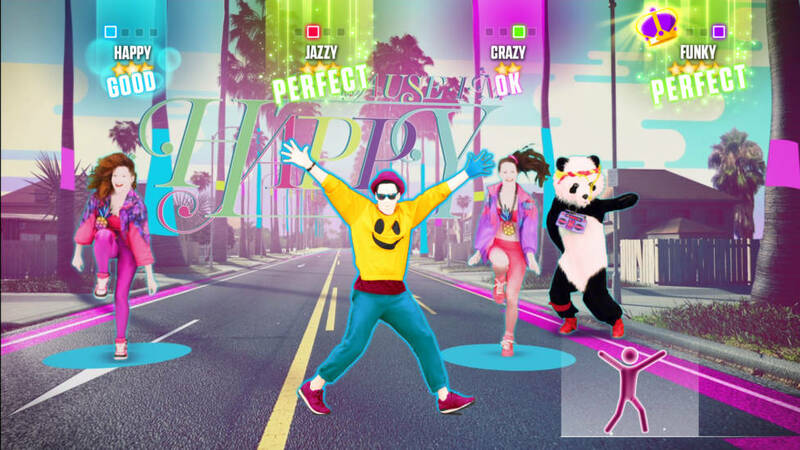 “Just dance!” says nutritionist Lisa Suriano. It’s free, easy, and you can do it any time. If your kids are toddlers, take a stock and stuff it with other socks. Have your kids stand up and throw socks into a basket or play catch. Kids in upper elementary will enjoy this. Pull out a piece of paper and challenge your kids to set the new family record for the most push-ups, sit-ups, jump rope, jumping jacks, squats, length of time balancing on one leg, or other activity. Help them compete against each other. Record your kids giving instructions as if they were teaching a room full of other kids. In the future, watch the video and do the exercises. If your kids want to change something, make another one. Practice handstands, jump rope, crab walking, somersaults, obstacle courses, following the leader, stretching, balancing, and bending yourself into a knot. Clear an area for some romping around. Play on a matt or bed. See if your kids can keep you on the ground. Why not turn your kids love of TV into an excuse to fit in some extra fitness? With a wide variety of fitness videos for kids available for free online, this is an easy way to keep your family healthy without even leaving your home! Some of our favorite kid fitness videos include this animal exercise video that is great for younger children, this Fitness Blender workout that uses games to pack in some serious exercise, and any of these short and sweet GROOV3Dance videos, which are so fun, your kids won’t even know they are working out! 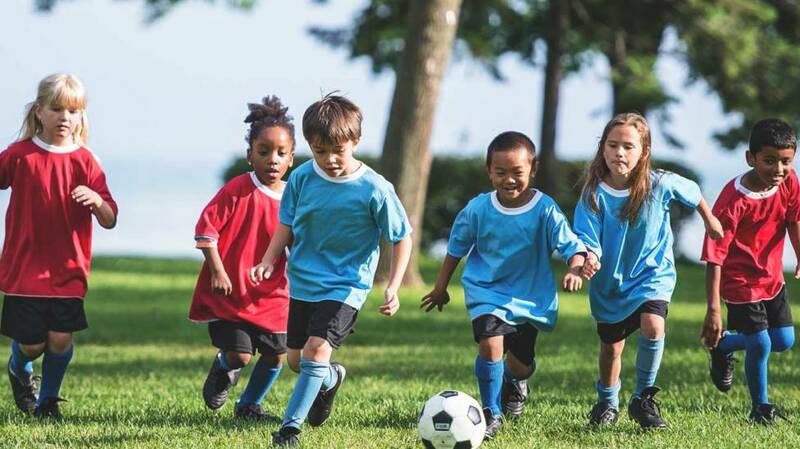 When it comes to the importance of sports for kids, team sports are an awesome way to keep the kids fit while also encouraging good sportsmanship. Your kids really do benefit from getting together with other kids and running, yelling and laughing. This improves their health, their social skills and many times, children get inspired to get more involved in certain sports. In fact, most professional athletes will tell you that they started out young. Many began playing basketball or baseball with neighborhood kids and found it so exhilarating, that they went on to higher levels in the sport. If your children have a favorite sport, then encourage them to get more involved in it. Sometimes kids can become so interested in something like ice skating or volleyball that they try out for city-wide games and a few even go on to the nationals. Some sports are more suited to some kids than others. If a child seems uninterested in a specific sport, then suggest something else until you find something they love. Every year, more than 14 million kids and adults attend summer camps across the country. These are places where children don’t only make life-lasting bonds, but they also engage in some fun fitness activities that promote a healthy lifestyle. In the course of just one day, children will engage in kids fitness games that will have them moving. This kind of summer ritual reminds them of the importance of being outdoors and being active. Some camps are designed to give kids a certain type of experience. 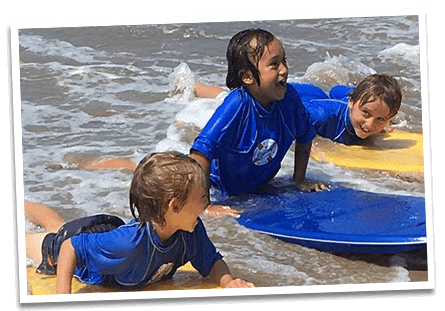 For example, beach camps let kids swim, surf, and play in the sand in addition to encouraging on-land sports like beach volleyball or dodgeball. 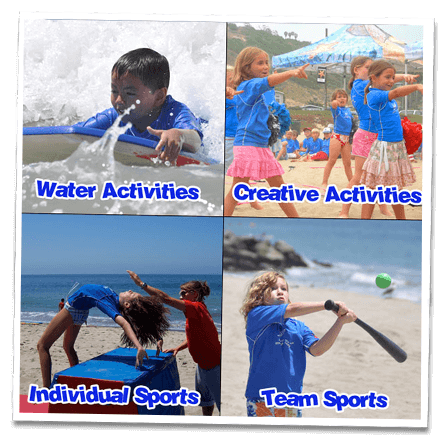 With more than 14,000 day and resident camps in the United States to choose from, about 5,600 of which are day camps, there are plenty of resources out there for helping kids stay active (like our Santa Monica summer camp!). Looking for a fun way to incorporate kids fitness into your family’s routine, without any complaining or pushback? If weather permits, organize an outdoor party centered around physical activity. Invite plenty of kids from school to play capture the flag or a big game of kickball. You can use your own backyard or head to a local park. Many families have game nights year round where they play board games or cards. But why not head outdoors for a different kind of game? This is the perfect chance to take the kids to the park to get moving. A few of our favorite games to play with family and friends include classic tag (or this fun variation of Arm & Leg Tag), kickball, capture the flag, and relay races. You can even do something non-competitive, like taking a walk or a bike ride around the neighborhood. One of the great things about living in the U.S. is that there are thousands of parks all over the country. Any communities with green space offer the chance for some outdoor recreation for the whole family. Once there, there’s an extensive range of kids fitness activities you can plan, like frisbee, catch or a treasure hunt. You can even stay late into the night and do some beautiful and relaxing star-gazing. If you are lucky enough to live near a beach, river or lake, why not pack up the car and plan a family beach day? Nothing quite beats spending quality time together by the water and the options for fitness are limitless! We suggest boogie boarding, swimming, flying kites, hunting for seashells, and building sand castles. Never been rock climbing before? Dying to give surfing a try? Have you always wanted to take a class to learn a new game or sport, but been too scared to try? Find a class in your area and sign up. You never know what you could learn to do in the outdoors. For parents of young children, easing into a new activity may take some effort. Some community centers and local businesses may offer sessions fit for parents and children, so you can both get some exercise in a fun and safe setting. We know keeping kids active in the cooler months can be a challenge, but just because the season is changing is no excuse to give up on your family’s fitness goals! One fun way to incorporate kids fitness into the colder months is to embrace seasonal activities that get your family out of the house! 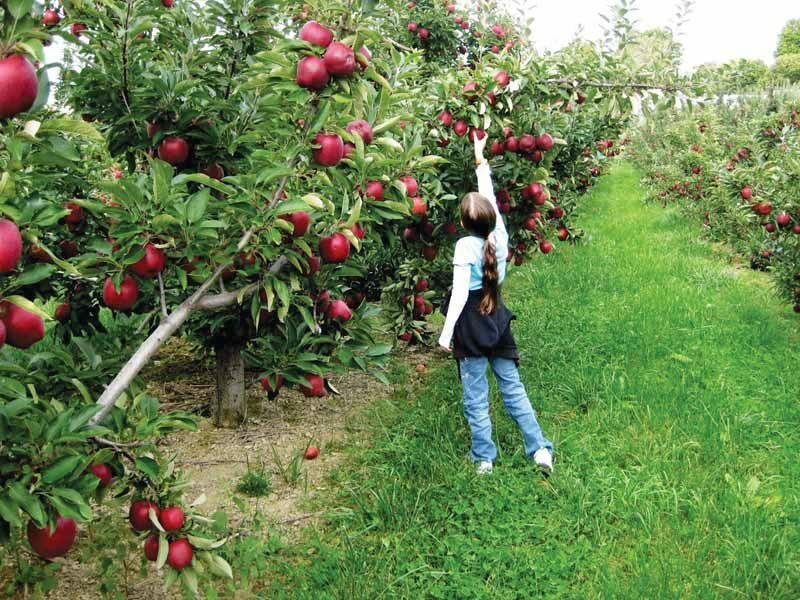 Some fun options include spending a day combing apple orchards for the ripest and most delicious apples in the fall, visiting a corn maze at Halloween, or lacing up your ice skates and hitting your local skating rink in the winter. As you can see, kids fitness is a critical part of childhood development for physical, mental, and emotional health. Although the digital age poses unique challenges to keeping your family moving, with a little bit of research and some strategic planning, you will soon find that fitness for kids is a natural part of your daily routine. We hope the information above is a useful starting point for many exciting and fun adventures in fitness for you and your family!